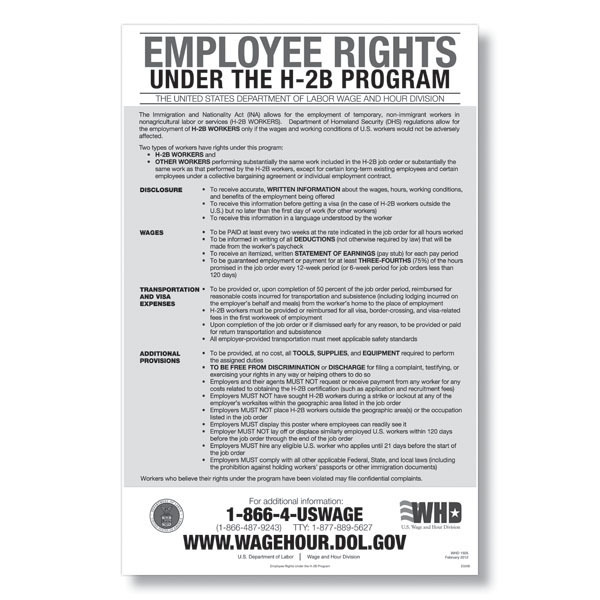 Non-agricultural employers who employ H-2B temporary non-immigrant workers in nonagricultural labor or services must display this poster. 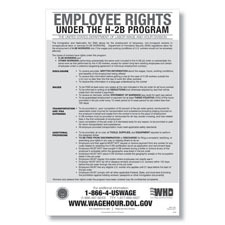 The poster outlines H-2B workers’ rights regarding disclosure, wages, transportation, and other provisions. This poster is required under the H-2B program.